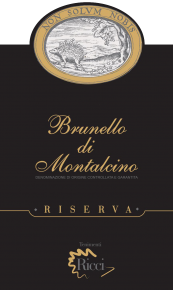 A plump and juicy Brunello with bold, fresh fruit and loads of aromatic intensity. Cherry, plum and blackberry are backed by evolved tones of leather, spice and cola. Shows delicate details of wild berry and almond paste on the close. Smooth and velvety. It will be the perfect accompaniment to roasts, grilled meats, game, and aged cheeses. Grapes picked from the bunch and pressed softly, malolactic fermentation carried out in barriques. 30 months in barrique and 6 months in oak barrels. After bottling, the wine rests for a minimum of 8 months in bottle.